Parenting your children is a very emotionally satisfying job. It’s certainly thrilling to see your kids surprise you all the time with the new things they do, but there are downsides to it as well that makes you annoyed and frustrated. One of the most common issues parent face is – fussy eating. Is your child picky or choosey about the food he eats? Fret not, you’re not alone. It’s common for kids to show resistance to new or different kinds of food, leaving parents wish that the food bowl miraculously got empty. Sometimes they do not eat anything at all. Yes, it might get really stressful but do not worry. This is mostly a phase that you can easily overcome if you actually understand the way your child’s mind work and cooperated with them instead of throwing tantrums at them. Why is your kid a fussy eater? Fussy eating is most of the time an indication that your child is growing. They do not anymore gulp down whatever you feed them. Your kid is probably going through a phase where he understands the environment and is figuring what he likes. Sometimes it happens to establish power, where your children are in a position to decide for themselves, what they want to eat. Some children sadly take fussy eating as a tool to get your attention, to make you spend some more time with them and understand them. Or your toddler is probably scared to accept change, a new food from the usual, which is pretty natural. It could also be genetics, if you are a fussy eater, there are chances your children also are. 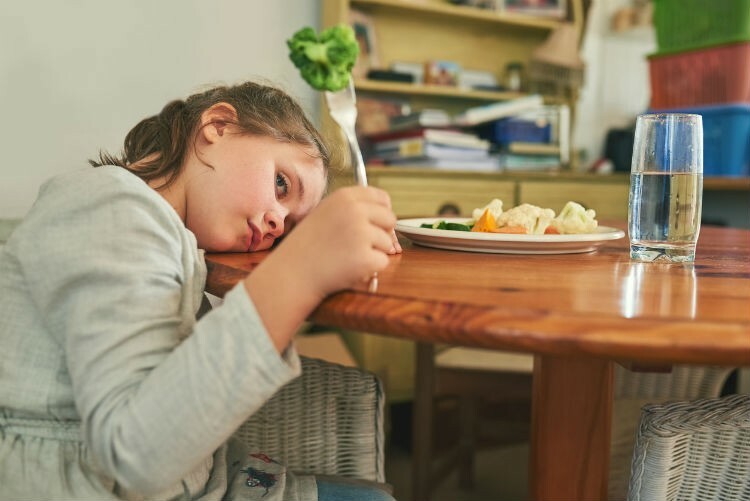 It is important parents efficiently dealt with the fussy-eating phase in children; otherwise they might grow up to be fussy eaters. It’s important for you not to lose your cool when your child denies food. Yelling at them only worsens the situation and can even have adverse psychological impacts on your children. So it’s important you dealt with the issue carefully. There are chances for parents to misunderstand their child’s behaviour for fussy eating. Your child might have a deep aversion or allergy for certain kinds of food. If that’s the case, it’s not right to force feed your children; rather look for other food alternates that would compensate the food they are allergic to. Eating together as a family instils good eating habits and teaches the children how to eat the right way. Children look up to parents and follow them. When children see you eat, they also begin to eat the way you eat. Moreover, when you eat with your children there are lesser chances of them to feel depressed or lonely. Keep your children away from any sort of distraction while eating. Teach them about how to focus on the food and its taste. Play some music of your children’s choice and tell them about the different flavours in a fun manner so that they enjoy their food. Remember your children cannot take large portions of food at one go, do not over feed them expecting them to finish it all. This isn’t good for your child’s health. Most of the children scrunch up their nose in disgust by the mere look of food. Do not just toss them into a plate or bowl for the sake of it. Decorate them or present them in a fun manner that will easily allure your kids to take a bite of them. Appreciate your children whenever they eat right or try out new food. That will definitely be a booster in making them more receptive to new food. Give them reward points in the form of their favourite dessert or snack if they finish whatever is offered to them. Your children may constantly refuse the food that is being offered to them. Do not eliminate that particular food altogether, rather try cooking them differently until they like. Your child might end up developing a liking towards a particular way the food is cooked. Bring your children to the kitchen more often and make them watch you cook. Assign little tasks for them throughout the cooking process. Having played a role in cooking, children will be more excited to see the outcome and would definitely want to taste them. Understand the taste and preferences of your child and cook food the way they want. Make eating a fun and healthy process that makes your kids excited about meal time. 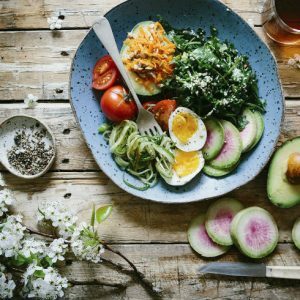 Feel free to comment or share your thoughts on this "9 Ways to Tackle Fussy Eating Children" article from Awesome Cuisine.